Authorized SAP Partner with Dedicated Support. Goal centric SAP Solution with Expertise. SAP Solution to resolve all Business Enigmas. SAP Business One is an extremely powerful ERP solution for medium scale industries, totally created to satisfy the business particular necessities of SMEs. The customization of the product as per the specific, process need of outrageous level. Giving you a chance to control, monitor and to provide a standard workflow in between procedures and departments. We know the value of the customer and the dedication of SME's in terms of service, that is the motivation behind our ERP Solution of SAP for SME's, and yes the availability of data, wherever you go. 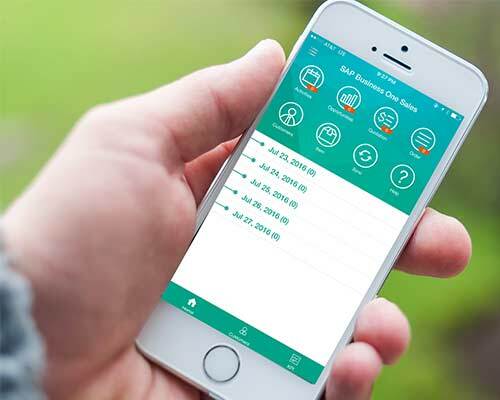 You can instinctively get the required data even from your cell phones, tablets or any device without stressing over the area and time. SAP Business One is actually something beyond the basic ERP. It's emmensible performer with incredible capabilities of Business Intelligence, which helps to grow SME's! Streamline and robotize financial administration or management with business software i.e. SAP Business One that incorporates Accounting, Sales, Purchase. Now system can focus on enhanced margins, diminish errors, and drive more gainful leadership and decision making. Find better approaches to optimize and enhance your whole Purchasing procedure - the complete lifecycle of purchase procedure can be managed easily, invoicing, vendors, payments, plannings etc. Real-time monitoring and controlling on stock or inventory over different stockrooms or warehouses for better planning and cost-effective production. Track and record stock developments, streamline inventory levels, enhance on-time product deliveries. Complete lifecycle of each and every customer, or lead or of any prospect. Lead Management, Marketing Campaigns, Sales Management, After sales services can be easily monitored and executed easily with SAP Business ERP for SME's. SAP Business One can easily integrate with your any of the existing system, and can work efficiently. This is very flexible for Its nature and secure too. Because SAP Business One uses Business Intelligence, and has very specific and smart report's presentation inside, so the hectic of employees to make it, reduces and even employee can utilize their time for the growth of organization. SAP has its own brand value, due to integrity, standard solution and customization capability. Somewhere around SAP Business One has approx 50,070 businesses as customers and around 1550+ certified SAP Business One partners are giving services, has more than 25 diversified industries in 110+ countries. A truth to believe in it's distinctive approach of business adaptability, support and standardization. Uniquely created by SAP for SME organizations. Rich with highlights to deal with each procedure. Very secure and does not permit any information altering. Quick and simple to execute. SAP Business One has the capability to showcase every business related information as per the role to any mobile device with it's app. Any of the employee or senior management person can access and can do whatever operations they want to perform, even on the go. Inventory lookup, Sales Management with actions, reports, administration controls, service calls, follow ups, and most of the business procedures with SAP Business One. 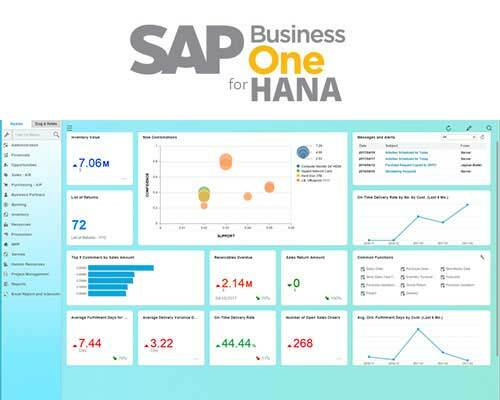 For the industries like us, which are in growing phase, SAP gave us an proven ERP for the perfect flow of business information, and yes, with HANA, it becomes more effective to grow business with time, due to Business Intelligence and in-memory computing capability. Even if you are growing vertically, or merging business with other venture, than data handling wouldn't bother you, Because, SAP Business One with HANA, enables us to manage huge data tremendously. With HANA, Speed and Performance of the system increases, as you implement it, over other products. Analytics, Smart & quick sales reports, specific and real-time insights enables best performance over the years. Gone are the days to bound with boundaries of Physical servers, for these kind of large ERP's or Applications. 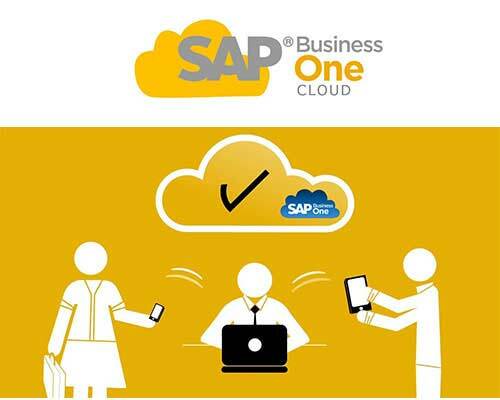 SAP Business One with Cloud streamlines all the major business processes with utter smooth nature. This enables availability of data in secured manner with secured data centers. Software as Service (Saas) subscription method reduces the cost of the hardware to very minimum enables you to utilize that fund to your other business processes. SAP Business One - Why us? GFN D'Selva Infotech PVT LTD is Certified Business Partners for SAP Business One, and We possess many years of experience in developing and implementing software & technological solutions to Small & medium sized manufacturing industries, We are providing our services to major cities like, Agra, Firozabad, Lucknow, Allahabad, Delhi, Gurugram, Ghaziabad, Faridabad, Kanpur, Meerut, Varanasi, Aligarh, Mathura etc. We have standard and well-paced methods, Certified & Experienced team for consultancy, implementation and after-sales support.